Airwise has proven effective in tests conducted by California Microbiological Consulting, Inc. and Walnut Creek Research Laboratory. They found that common mold and bacteria levels, which are present in 90% of American homes, plummeted 50% or more in the first 24 hours and continued to drop by 90% after 3 days! Tests were conducted on each of the three Airwise units: the Small Room (treats areas up to 350 square feet), the Large Room (up to 750 square feet), and the Multi-Room (up to 1,500 square feet). Consistent reduction of airborne bacteria and mold was produced by all of the Airwise purifiers tested in this in-home study. This was typically about 75% to 90% reduction of bacteria and molds, comparing the six-day treatment with the untreated in-home baseline values. Normal home activities were maintained throughout the test period. The test household consisted of two adults with two indoor dogs. The testing plan provided 30 outside air samples (15 for bacteria and 15 for mold) for baseline of outside air. The inside air base periods comprised 90 air samples (5 bacteria and 5 mold daily in 3 rooms for 3 days). The test periods comprised 180 inside baseline samples (5 samples daily for bacteria and 5 for mold for each of 3 test rooms for 6 days). 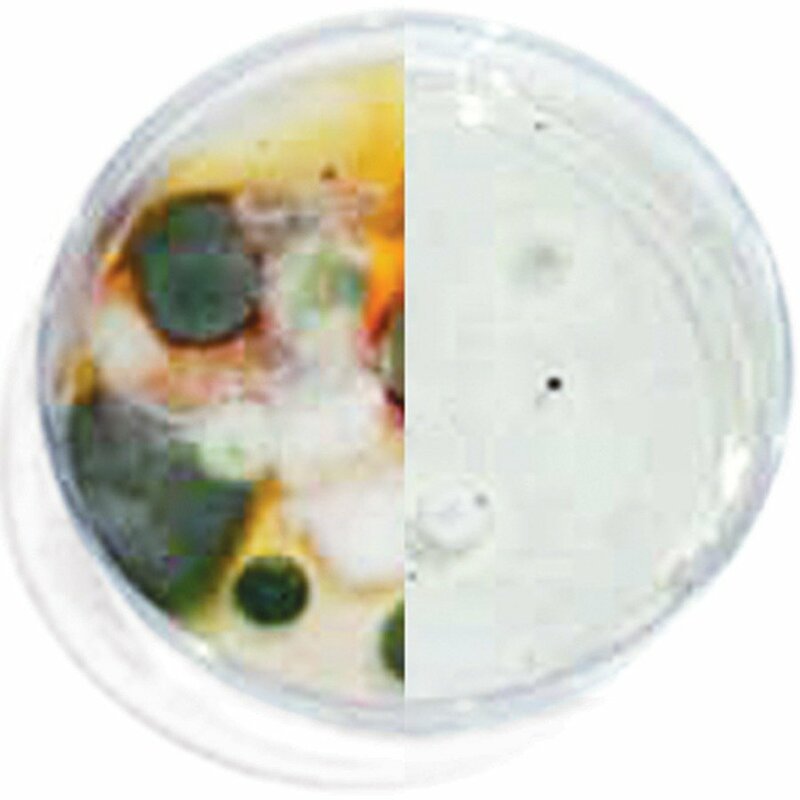 Total bacteria were determined on PCA (Plate Count Agar) plates; mold counts were determined on PDA (Potato Dextrose Agar) plates; results were tabulated and analyzed statistically for comparison with baseline and to track sequential changes of airborne mold counts over time.